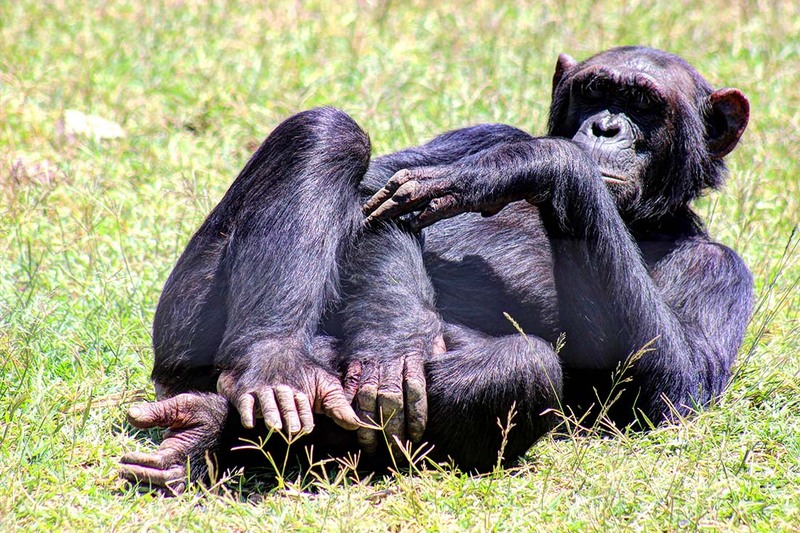 The Sweetwaters Chimpanzee Sanctuary is in the Ol Pejeta Conservancy Nanyuki and the only place in Kenya where the endangered and remarkably intelligent species can be seen. The Sweetwaters Chimpanzee Sanctuary opened in 1993 to provide refuge to orphaned and abused chimpanzees from West and Central Africa. An initial group of three orphans were brought to the sanctuary from Burundi. They were evacuated due to civil war. In 1995, nine adults were given refuge and 10 in 1996. It now has 43 chimpanzees in the sanctuary. 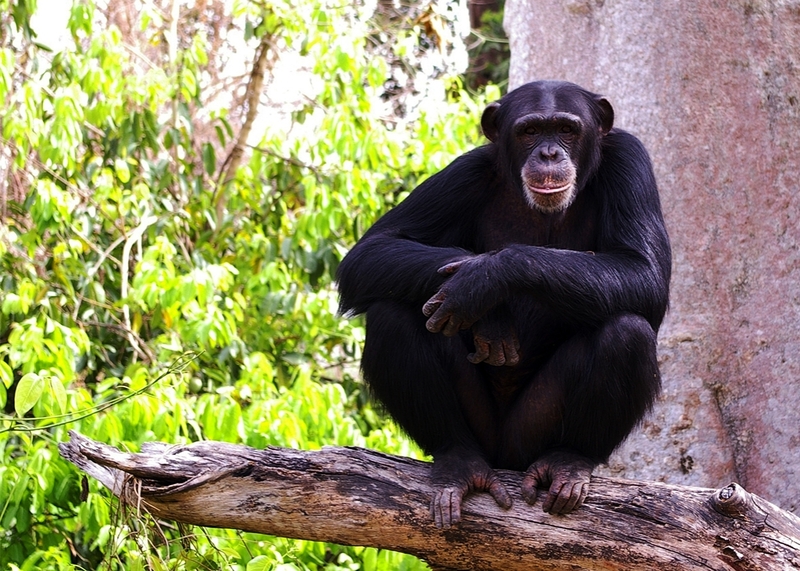 The chimpanzees live in two groups separated by the Ewaso Nyiro River. The chimpanzees’ natural home range spans from Senegal on the West African coast, through the central forested belt of Africa, to Uganda. They are not native to Kenya, but when a rescue centre in Burundi had to be closed due to the civil war outbreak in 1993 – Ol Pejeta opened its doors. 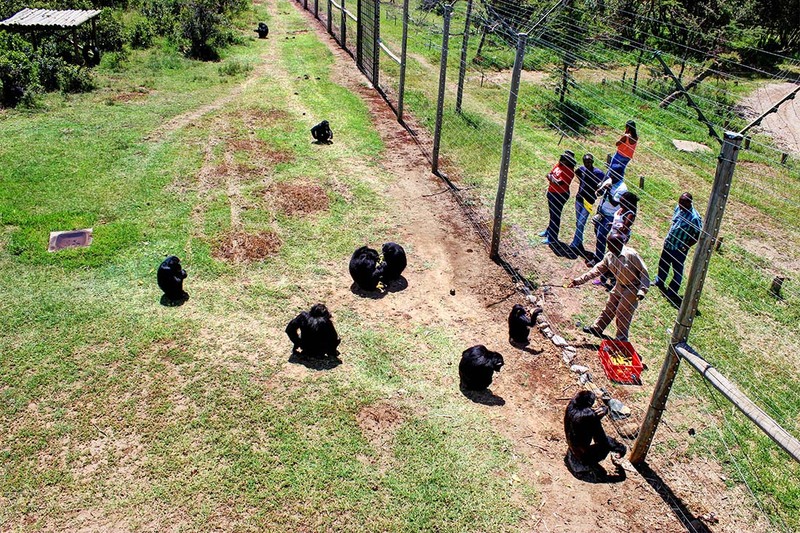 The Sweetwaters Chimpanzee Sanctuary was established with an agreement between the Ol Pejeta Conservancy, the Kenya Wildlife Service (KWS) and the Jane Goodall Institute. The aim – to provide lifelong refuge to orphaned and abused chimpanzees from West and Central Africa. 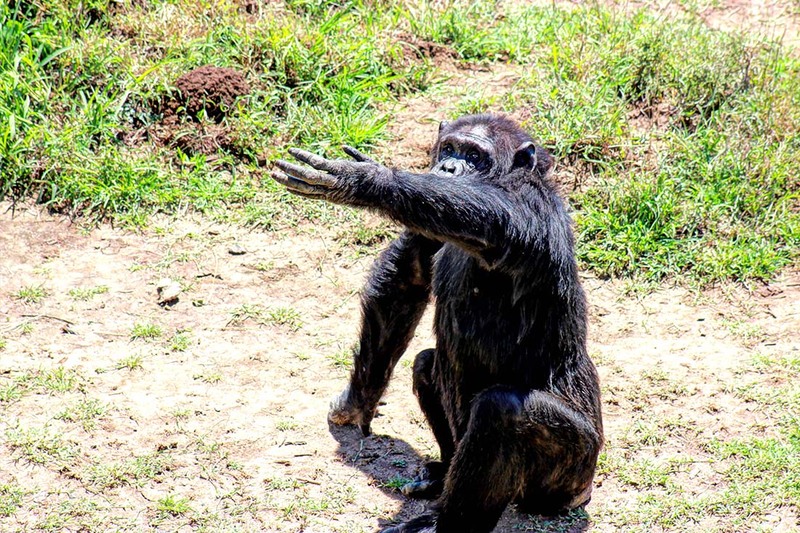 Over the last decade, Sweetwaters Chimpanzee Sanctuary has been compelled to keep accepting chimpanzees rescued from traumatic situations – bringing the total number of chimpanzees in the Sanctuary to 42. Many are confiscated from cramped and unnatural living conditions, and many arrive with horrific injuries sustained from abuse at the hands of humans. Here at Sweetwaters, they get a chance to start over. With 24-hour veterinary support and a stimulating quarantine enclosure, chimpanzees arriving at the Sanctuary are carefully nursed back to health. When they are ready, they are introduced into one of the two large groups at the Sanctuary, who live in vast natural enclosures separated by the Ewaso Nyiro River. The chimps have set feeding times, and return to their indoor enclosures at night – but other than that they spend their days exploring, climbing, socialising, and learning to be chimpanzees all over again. Sweetwaters is a chartered member of the Pan African Sanctuary Alliance (PASA), an alliance of 18 sanctuaries in 12 African countries; currently caring for over 800 orphaned and/or confiscated chimpanzees. 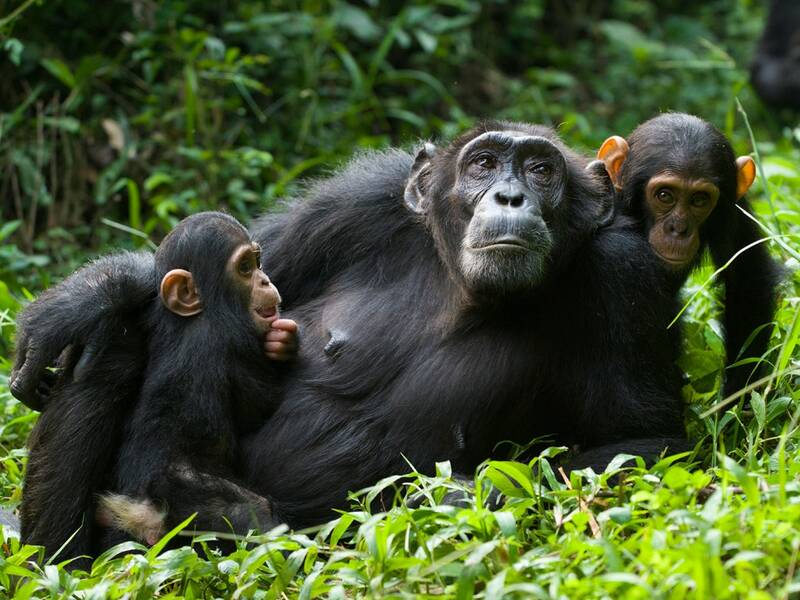 PASA’s role is to help conserve chimpanzees and other primates and their habitats through public education and lobbying for political goodwill. 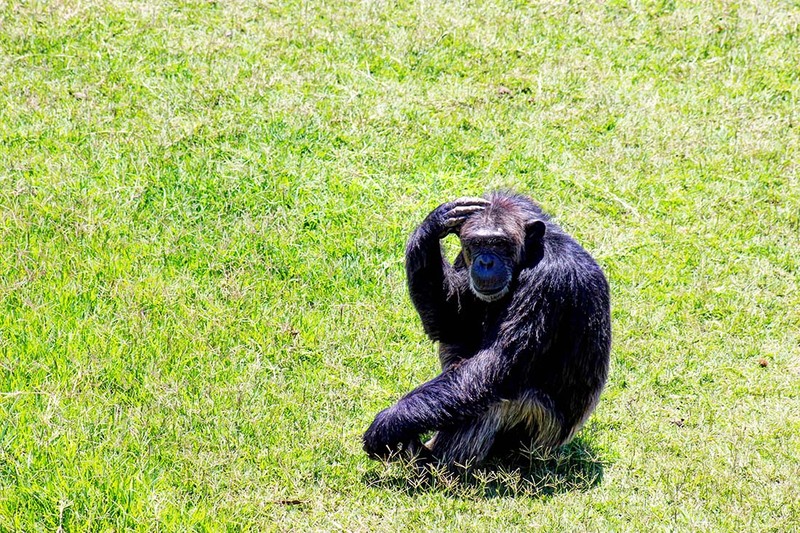 Although chimpanzees are very similar to humans, there is still much that we don’t know about them. 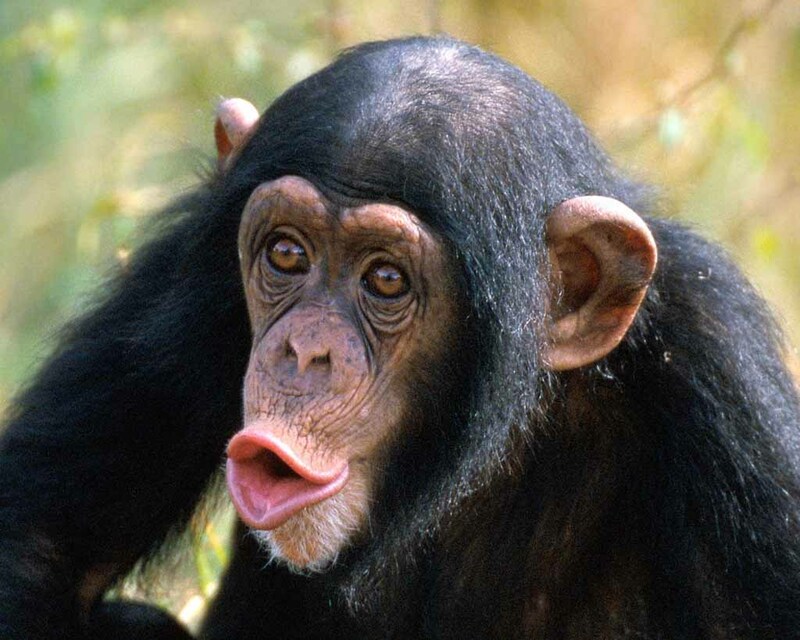 Many people confuse chimps with monkeys. 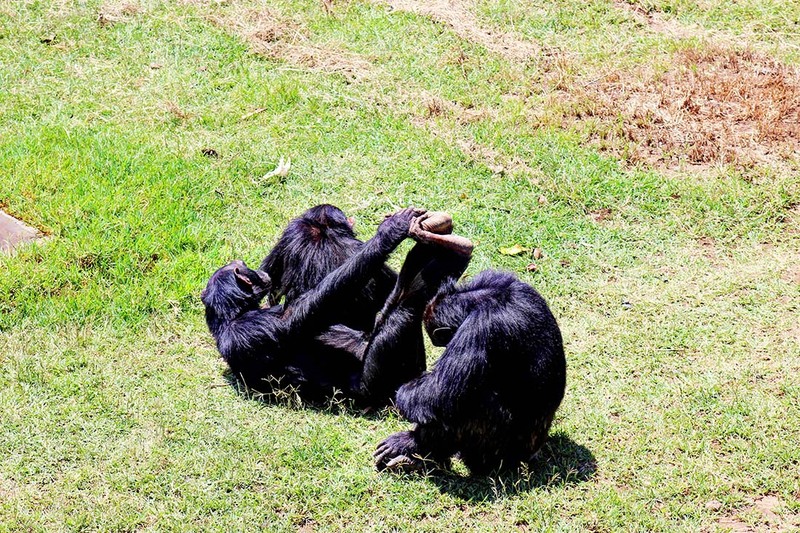 In fact, chimpanzees are great apes as are gorillas, bonobos and orangutans. Here are 10 things you probably didn’t know about our closest living cousins in the animal kingdom. Chimpanzees are our closest relatives in the animal kingdom, genetically speaking. We share between 95 and 98 percent of DNA with them. Like us, they use tools to achieve their goals, laugh with one another and form social groups. Even though we've been studying them for decades, we're constantly learning new things about them, much in the same way we learn new things about ourselves. Chimpanzees are classified as Endangered on the IUCN Red List. At the beginning of the 20th century there were more than 1 million chimpanzees in the wild. Today, it’s estimated that there are less than 300,000. Their numbers are decreasing because of habitat loss and fragmentation, commercial bush meat hunting and the illegal wildlife trade. By road: The drive to Sweetwaters Chimpanzee Sanctuary from Nairobi takes about 3-4 hours. The road from Nairobi to Nanyuki is tarmacked, and the last 13 kilometres to Sweetwaters Chimpanzee Sanctuary is dirt. From Nakuru/ Naivasha; it is best to take the road via Nyahururu and Nyeri to enter Sweetwaters Chimpanzee Sanctuary through Nanyuki. About 6.5km after Nanyuki airstrip, there is a sign to Sweetwaters Chimpanzee Sanctuary on the left, and it is signposted all the way to Rongai Gate. 4×4 vehicles are essential in the rainy season. By air: There are daily scheduled flights from Nairobi Wilson Airport to Nanyuki airstrip, which is a 45 minute drive from Sweetwaters Chimpanzee Sanctuary.